The Indian packaging industry is estimated to be worth Rs 63,000 crore. This industry is growing at 11% annually and is expected to cross a turnover of Rs 95,000 crore by the year 2015. This segment is made up of organised to medium to large players as well as unorganised local players. The main growth drivers for the Indian packaging industry are the food & beverage and pharmaceutical packaging sectors. The food processing industry is likely to double its capacity over the next 3-4 years which will consequently lead to a huge demand for packaging material. The fastest-growing segments are laminates and flexible packaging, especially PET and woven sacks. The raffia segment, which is part of the plastic processing sector, has the most modern technology available and produces products of international standards. Approximately 1.2 million tonnes of polyethylene (PE) and polypropylene (PP) materials consumed by the raffia sector in India produce woven sacks, tarpaulins, FIBC (flexible intermediate bulk containers), leno bags, geotextiles etc. The consumption growth of PP+PE for the raffia sector from 2006-07 to 2009-10 is about 55%, i.e. 775 KT to 1.2 million tonnes. As of today, the Indian sector has become the 2nd largest raffia segment in the world. The history of the Indian raffia industry dates back to the 1960s. Till the early 80s the raffia industry was specific only to packaging fertilisers, after which it was used as a packaging option for cement too. By the mid 80s, almost all of the raffia production was going towards meeting the packaging requirements of the cement and fertiliser industry. This was when the Jute Packaging Mandatory Act (JPMA) was enacted to protect the interests of the jute sector. The JPMA states that a certain percentage of bulk commodities such as cement, fertiliser, sugar and food grains need to be compulsorily packed in jute bags. Due to this setback, the industry started looking for alternate markets, both locally and on a global scale. There are an estimated 900 woven sack bag units in India, with an approximate investment of Rs 5,000 crore. This industry employs around 5.5 lakh people, constitutes of 1,200 tapelines, 26,000 looms and has an annual capacity of 2000 KT. Unlike other plastic-based products, plastics raffia or the woven sack sector is dependent on end-use consumers for packaging applications viz. cement, fertilisers, food grains, sugar, sand / minerals / chemicals / petrochemicals, tarpaulin, geotextiles etc. The past few years has seen a healthy growth in infrastructural civil projects, which has facilitated increased consumption of cement and consequently the demand generation of plastic woven bags. Similarly, fertilisers and food grain packaging, FIBC / jumbo bags for bulk packaging of cement, resins and chemicals etc., leno bags for packaging of potato, onion, orange etc. add to the demand prospects of woven sack or raffia products. The raffia industry can be classified into six broad categories; polyolefin woven sacks (excluding FIBC), flexible intermediate bulk containers (FIBC), tarpaulins, leno bags, lamination, wrapping fabric, and others. FIBCs, woven sacks and fabrics have a demand of about 1.0 Mil tonnes (domestic consumption as well as exports from India). The demand is growing at around 16-17% YoY for the last three years. Forecasts indicate that this demand in India is likely to increase and reach around 1.5 Mil tonnes by 2013-14, due to various favourable factors like opening up of the food grains and sugar sector. 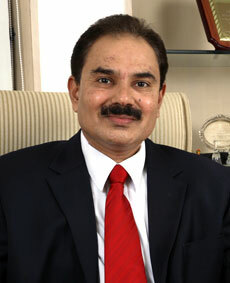 A Rajiv Group company, Atlantis Products Pvt. Ltd, is a leading manufacturer and exporter of raffia woven sacks. It manufactures various raffia products such as PP woven bags with valve (cement packaging), PP woven bags with lamination (enhanced branding), PP woven bags with gusset printing, PP laminated bags with perforation (packing cement, flour, etc. ), PP/HDPE woven bags with liners, for materials that are highly hydroscopic and mainly used to package materials like chemical powders, sugars, etc. ; coloured tarpaulins, among others. Apart from the traditional food grains and sugar bulk packaging demand, the changing socio-economic pattern of life and the increasing number of working couples has accelerated the growth for ready-to-cook and ready-to-eat foods. This has proved to be a growth driver for the packaging industry. The advances in food technology and packaging technology have made it possible to extend the shelf-life of ready-to-cook products. Ready-to-eat snacks such as idlis, dosas, etc. have a short shelf life which is why their packaging requirements differ from those of curry rice, upma, etc. Products such as idlis, dosas, and pizzas are packed in packaging materials that have low water vapour and oxygen permeability, odour-resistant, and good physical strength. Such products are usually packaged using injection moulded plastic containers, plastic film/bag pouches or paperboard cartons. Indian foods such as palak paneer, curry rice, upma and the like are retort processed hence their packaging requirements are different. Ready-to-use retort pouches are flexible packages that are made of multilayer plastic films (with or without aluminium foils as one of the layers). The most commonly used packaging materials for such products include 3-ply laminates that are made up of PET/Al foil/PP. Some of the other materials that are used to make such packaging includes nylon, silica coated nylon, ethylene vinyl alcohol (EVOH), and polyvinyledene chloride (PVDC). Pet food packaging is an emerging segment in this industry. Looking at the demand for such solutions, many manufacturers have started investing in R&D for the same. Specifics such as the right combination of colours and smells are being taken into consideration so as to develop a packaging option that is most attractive to pets. Most of these bags are BOPP (biaxially-oriented polypropylene) printed and laminated on the outside. The boom in the retail sector has amplified the need for attractive packaging. Till now in India, tuber lamination machines, which are used in the manufacture of such packaging, have not been available. Now, companies have started manufacturing these, which has made easier for the Indian processors to manufacture such bags. Lack of skilled and trained workers is a major issue that this industry faces. The fluctuating prices of polymers, price war among competitors, archaic government regulations (such as the JPMA) are other factors that add to the challenges of the industry. The exchange rate fluctuations in the last six months have severely impacted the prospects of exporting companies since they work on a fixed conversion basis with overseas buyers. In light of the depreciating rupee, buyers have already started asking on discounts in conversion charges. When the rate of any item is reduced by the buyer, it is very difficult to bring it back to the same level, even after the rupee has started appreciating; which proves to be quite a hindrance. There is an overall misconception that plastic products are not eco-friendly since they are non-biodegradable. Changing this mindset is essential and can be done by indicating that these products are more eco-friendly as compared to jute or paper, since they require less energy to produce, are not dependent on trees and can be recycled too. Since packaging is not a seasonal business one does not notice any major cyclic trends in this segment. With an anticipated growth with the next five odd years in the domestic demand for packaging, this industry is gearing up to adopt scientific and functional packaging. Due to low manufacturing costs, India is fast emerging as the preferred place for packaging production. Customer preferences for attractive, protective and user-friendly packaging have led to the industry evolving in technical and scale terms so as to provide consumers with what they desire. The increasing numbers of health-conscious individuals show a preference for packed, branded products rather than the loose and unpackaged formats. Since India comprises a big rural market, manufacturers are introducing low-priced goods in smaller pack sizes, which have proved to be extremely popular in smaller towns and villages, where people do not prefer to buy larger packs due to financial constraints. Asia's No. 1 Plastics & Rubber Trade Fair Expecting to Set New Record of 100,000 visitors….